Preheat oven to 400 degrees, make 5-6 slices in each half breast of each chicken cutting about three-quarters of the way down. Sautée the spinach, once the spinach is sautéed, add in the mushrooms and sauté. Finally add in ricotta cheese and heat until well mixed together. 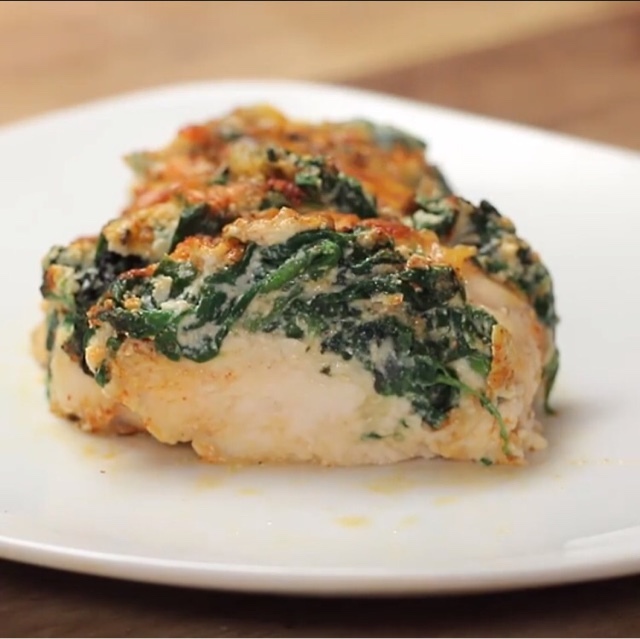 Fan open the chicken breasts and spoon in spinach mixture. Top off with cheese (I will often substitute Parmesan for cheddar instead). Sprinkle with salt, pepper and paprika. Put in oven for 25-30 minutes. This is an awesome and easy meal!! Happy Eating! !